GALLCORP IS PROUD TO ANNOUNCE THAT MAD FOX IS HERE! BETHESDA - August 7, 2015 - Gallcorp is proud to announce that Mad Fox is now available for download on Google Play and the Apple Store. Mad Fox is a highly addicting and unique arcade style platform game that will have you on the edge of your tail. As Mad Fox, the title character, you must jump from bubble orb to bubble orb to collect coins and beat your high score. What makes Mad Fox's experience unique is that he must circle around, upside-down, and in all directions to proceed around his environment. Mad Fox must also avoid monsters who materialize in his path, while setting off bombs to destroy his enemies and using coin magnets to increase his bounty. Mad Fox treats the user to terrific animated graphics, smooth gameplay and one catchy theme song. Mad Fox is currently available for download on Google Play for all Android phones and devices, and the Apple Store for all iOs devices including the iPhone, iPad, and iTouch. GALLCORP ANNOUNCES CHARLIE CHARLIE THE CHALLENGE! BETHESDA - JUNE 25, 2015 - Gallcorp is happy to announce that Charlie Charlie the Challenge, based on the viral sensation of the same name, is now available for download on Google Play and the Apple Store. 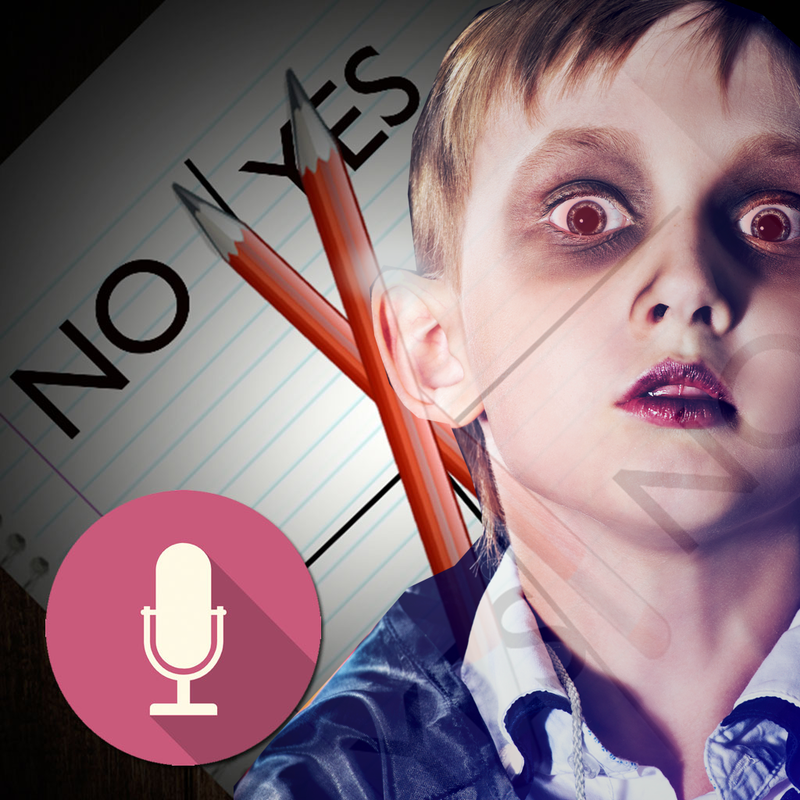 A modern take on the Ouija board, the spirit of Charlie is said to be summoned by crossing two pens or pencils on a a grid (with sectors labelled "yes" and "no") and asking Charlie "can we play." Participants then ask questions of the apparition. The upper pencil is then expected to rotate to indicate the answer to such questions. The app recreates the Charlie grid for users with its digital pencils. The user merely presses the microphone button to speak and waits to see if the spirit of Charlie responds. Charlie Charlie the Challenge is free to download and free to play. Charlie Charlie is currently available for download on Google Play for all Android phones and devices, and the Apple Store for all iOs devices including the iPhone, iPad, and iTouch. 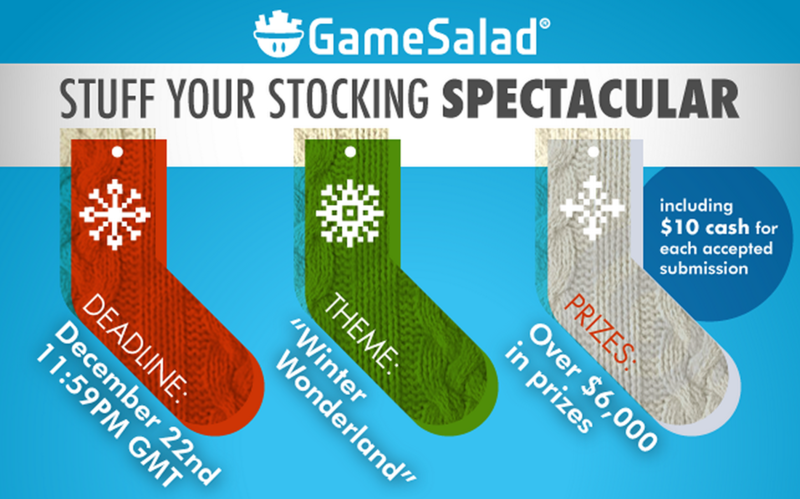 BETHESDA - DECEMBER 22, 2014 - Gallcorp is proud to announce that Winter has Come, the company's latest arcade title, has taken second place prize and Best of Show honors at the "Winter Wonderland" contest hosted by the app service company GameSalad. As the Wizard, players must defend his castle by harnessing energy and throwing orbs at an attacking hourde of would-be conquerors. The power gauge helps players determine the force and distance of the released orbs. 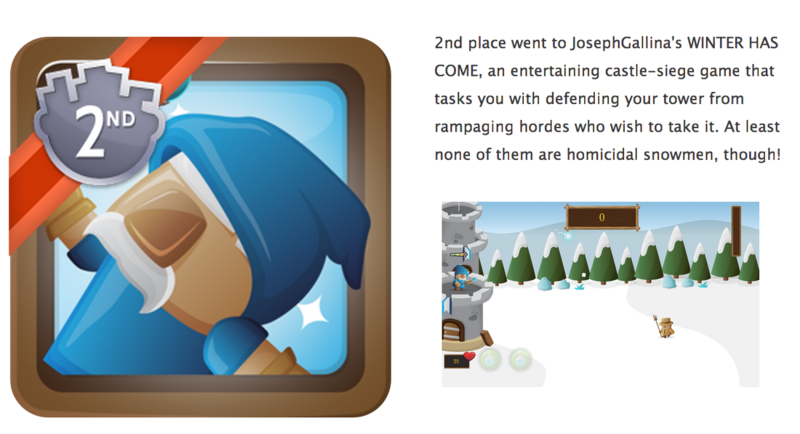 Winter has come is free to play and can be found on the GameSalad arcade (http://arcade.gamesalad.com/games/127295). BETHESDA - NOVEMBER 13, 2014 - Gallcorp is proud to present Viral Outbreak, the game that allows you to stop a deadly virus in its tracks. A viral outbreak has left one patient with a blood stream teaming with a nasty and deadly virus. players will find themselves immersed in an extreme battle of the ages against an outbreak of deadly viral strains of bacteria and disease. Once the viral outbreak ensues, you must also eradicate a growing infection of bacteria in the blood stream. The game tests your reflexes and swiftness as you must quickly destroy the outbreak of strains and avoid hitting any white blood cells in the process. Viral Outbreak has stunning graphics including actual magnified photos of an outbreak of bacteria strains, animated menus, realistic sound effects, and a terrific musical score. Viral Outbreak is free to download and free to play. The game is currently available for download on Google Play for all Android phones and devices, and the Apple Store for all iOs devices including the iPhone, iPad, and iTouch. BETHESDA - OCTOBER 12, 2014 - Gallcorp is happy to announce the world-wide release of Krig the Caveman Rescuer, now available for download on Google Play and coming soon in the Apple Store. Gallcorp's flagship game combines captivating storytelling, fluid and simple gameplay, and increasingly challenging yet fun-filled moments. KRIG is a lovable caveman who spends his days hunting and spending all of his time with his prehistoric partner, his wife KRELDA. After a beautiful day in the sun spent fishing, to KRIG's surprise and heartbreak, KRELDA is kidnapped by a big nasty Dinosaur! It is now up to Players to help KRIG rescue his love. Forced to travel deep inside a cave to reach the Dino's den, KRIG will set off on his heroic prehistoric adventure, where he must run and dodge the falling rocks, collect bones to help him on his quest, and catch falling fish from the stream above for energy. Each moment provides increasingly difficult challenges. Players are rewarded with fish that help to gain three unique Power-Ups that help KRIG on his quest. Comic-like scenes that advance the story. Players will fall in love with the characters and enjoy countless hours of fun-filled entertaining gameplay. "KRIG the Caveman Rescuer the type of product any video game developer and publisher would be proud of," states Gallcorp Enterprises LLC's Chief Operating Officer, Cosima Gallina. "The fluidity of the gameplay, the dynamic storyline, and the fun graphics truly makes the game people of all ages can enjoy." "Our goal at Gallcorp Enterprises is to produce games that speak to Players on a very personal level. KRIG the Caveman Rescuer does that through its unique marriage of visual storytelling and increasing challenges," says Joseph Gallina, Chief Executive Officer of Gallcorp Enterprises LLC. "Players will fall in love with our concept, our characters, and our story. We truly attempt to blur the line between games and other kinds of entertainment like books, comics, and film." Krig the Caveman Rescuer is free to download and free to play. KRIG! is currently available for download on Google Play for all Android phones and devices. It will soon be available in the Apple Store for all iOs devices including the iPhone, iPad, and iTouch. BETHESDA - August 1, 2014 - A husband and wife has joined forces and have founded Gallcorp Enterprises LLC, the tech world's newest and most dynamic game developing and publishing companies. Joseph Gallina will serve as Chief Executive Officer and Cosima Gallina will serve as Chief Operating Officer. The duo will collaborate with some of the brightest developers and artists in the field to create a new line of games for mobile platforms. One game is currently in the works and will be released sometime this month. "For years I have seen the excitement brewing in the technology arena as an attorney for the space industry," said Joseph Gallina. "It is with that sense of wonder that we make the transition to a new and exciting opportunity to bring the highest quality entertainment to mobile devices." Cosima Gallina brings her experience in business development, public relations, and art to Gallcorp. "The exciting thing about the mobile platform is the global reach," Cosima Gallina stated. "Development companies have a chance to touch people with their products across the gambit of cultural backgrounds, across the seven continents. Games in particular provide positive ways to entertain people and bring them together over a common love of lighthearted fun."